We are half way through January and Valentine’s Day is just a month away! A few weeks ago I shared a Valentine’s look featuring the cutest velvet mini skirt, and am excited to share a few more before the day of love arrives! This embroidered ruffle mini dress is the sweetest option for Valentine’s day! 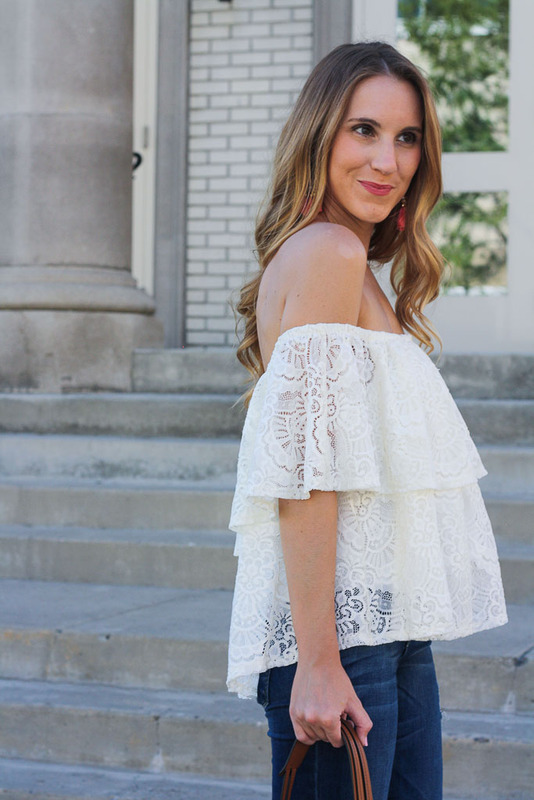 Not only does it have the prettiest embroidery, but the ruffles add a fun feminine touch! I love that this mini can be worn year round too! I plan on wearing it in the spring and summer with a denim jacket and wedges but paired it with a cozy, chunky knit cardigan and booties for a chilly winter day. I hope you are enjoying your first few days of summer! Mine have been busy! 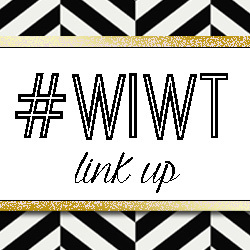 It didn’t help that our internet went down this week making it difficult to get anything blog related done! Thankfully we are back up and running now! 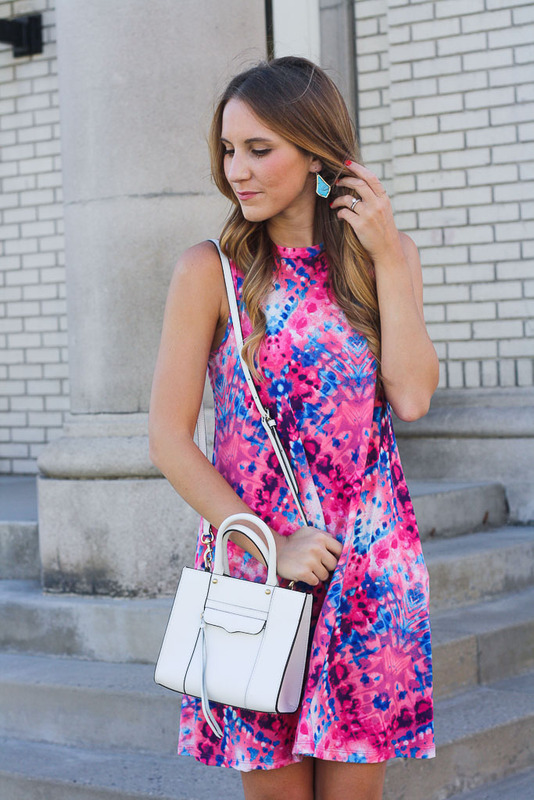 This dress is the perfect summer dress! It has a sweet fit, is made out of the most comfortable fabric ever and it has pockets! But the best part? It’s tie-dyed! There is something about a good tie-dye dress that screams summer. I can already envision styling this a ton of different ways! I recently ordered these shoes and can’t wait to pair it with dress for a future date night! Dying over her mommy and me style week to week! Especially the post below!! 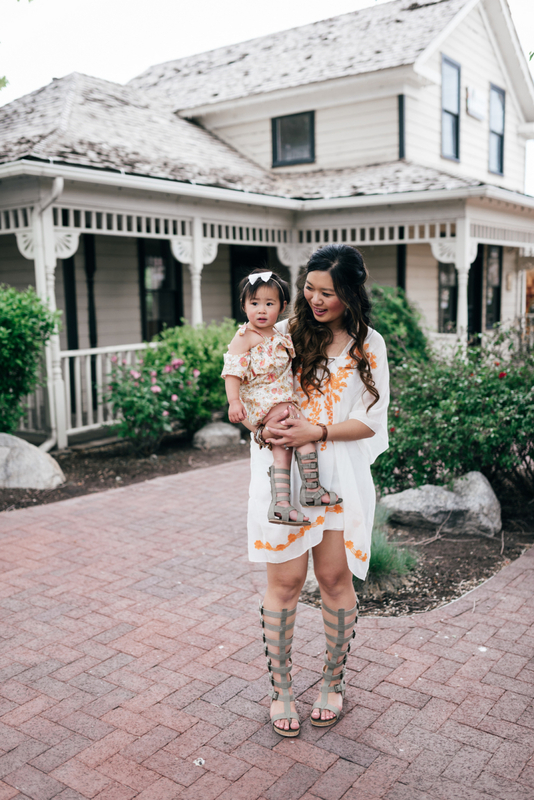 Look at those matching gladiator sandals…are those not the cutest things you’ve ever seen? Make sure to stop by and show Sandy some love! !